Here for you when it counts. Our professional captains have years of experience on Lake Texoma with vessels of all sizes. We're ready when you need us! We operate 4 vessels from Two Marinas across the lake. We have a Boat-Load of Salvage Equipment for jobs of all sizes. We have Lake Texoma and the surrounding areas covered! Member and Non-Member Rates for towing, jump starts, fuel delivery, and soft groundings. Member pricing will depend on your towing membership service level. We will verify your benefits with BoatU.S. when you call for assistance. Plus Dock-to-Dock Runtime. Based on rates above. By becoming a BoatU.S. member, you have access to 24 hour dispatch services at over 300 ports & 600 TowBoatU.S. vessels nationwide. BoatU.S. offers the lowest prices for both inland and coastal for members with towing, fuel delivery, jump starts and more. As a member of BoatU.S. you get access to discounts with local businesses and their national partners. Some of those benefits include discounts on fuel at BoatUS participating marinas, West Marine, and other benefits such as advocacy on Capital Hill and an award-winning magazine. TowBoatU.S. 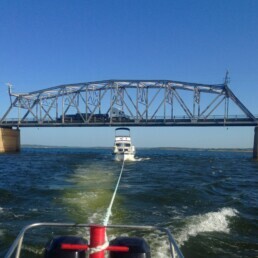 Lake Texoma is a locally owned and operated marine towing and salvage company. 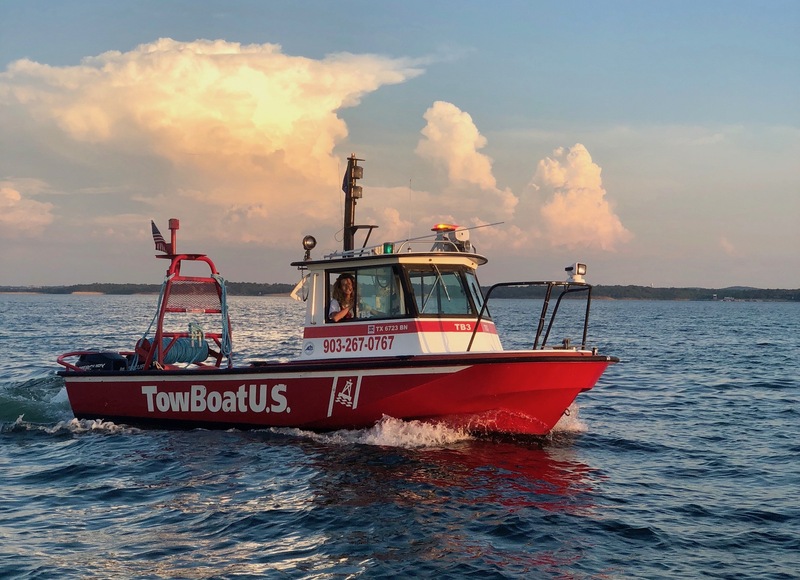 We are part of the nation's largest network of on the water towing services, TowBoatU.S. We are the proud provider for BoatU.S. on Lake Texoma. We provide a variety of on-the-water services for recreational boaters. We are prepared to assist stranded boaters on Lake Texoma, responding 24/7 365 days a year. 24 hours a day... 7 days a week... 365 days a year! Prove You're Human. What's 2+3=?